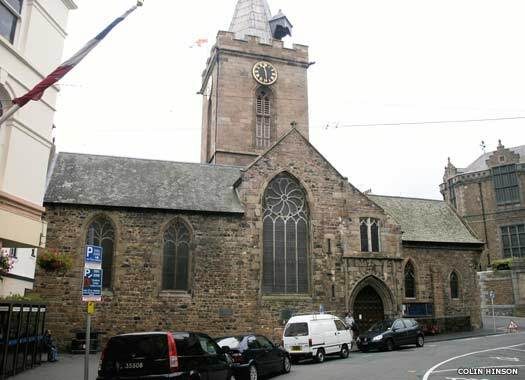 St Peter's Church is more usually known as the 'Town Church'. It lies close to The Harbour in St Peter Port, between Mill Street and the High Street, which is on the eastern side of the Channel Island of Guernsey. Twenty-five kilometres south-east is Jersey, and the French coastline is not much further away. The church is considered the finest on the islands, with documentary evidence pointing to its existence as early as 1048, although most of the building is later. There may have been a religious building here since AD 500, when the fortified Roman town was still inhabited. In 1048 a grant was given by William, duke of Normandy (and later king of England) for six churches to be built on Guernsey, including this one. 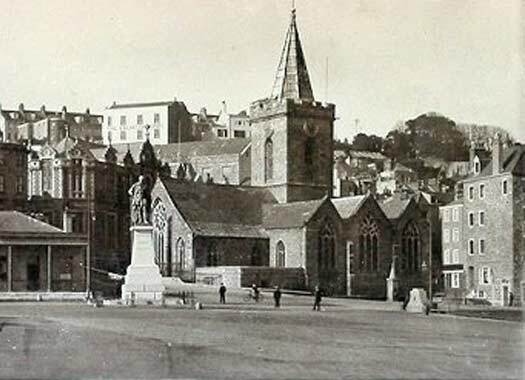 St Peter's was burnt down in 1294 during a French attack on the Plantagenet port. This attack also saw many houses destroyed, a large number of horses being hamstrung, and around 1,500 local residents killed. 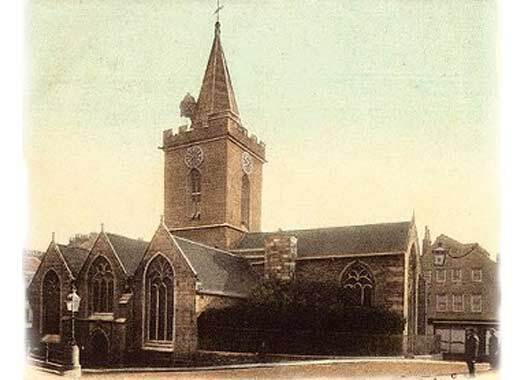 The only section of the church to survive was part of the wall along the south aisle, and the twelfth century pulpit, from which the present structure was built (shown here in a 1903 postcard). The chapel dates to the fifteenth century, while the pulpit was installed in its current location during an 1822 refit. 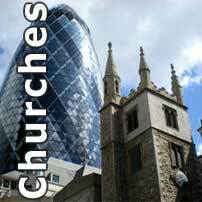 As well as its religious use the church has been a fire station and fortified shelter in its time. More recently, the church underwent a major refit in 2009. One photo on this page contributed by Colin Hinson.